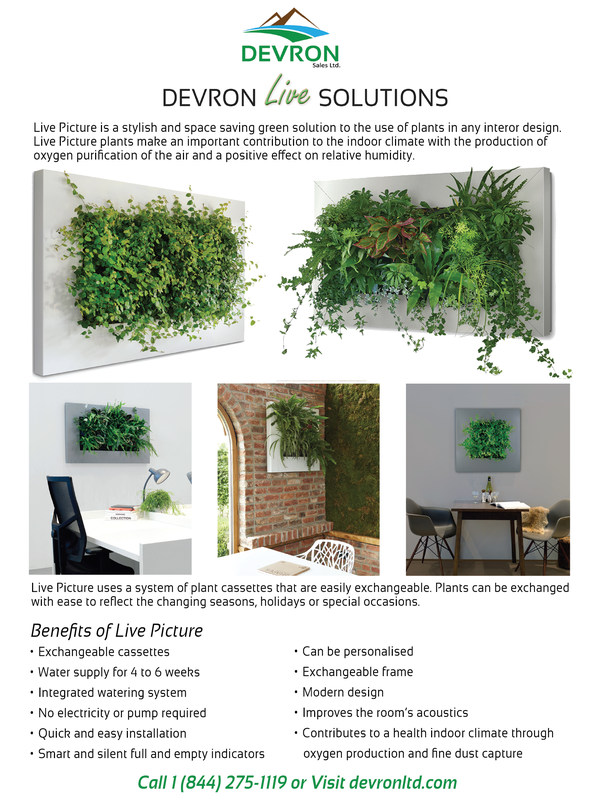 Live Picture 2 is a stylish and space saving green solution that makes use of plants in any interior design. Live Picture plants make an important contribution to the indoor climate with the production of oxygen purification of the air and a positive effect on relative humidity. 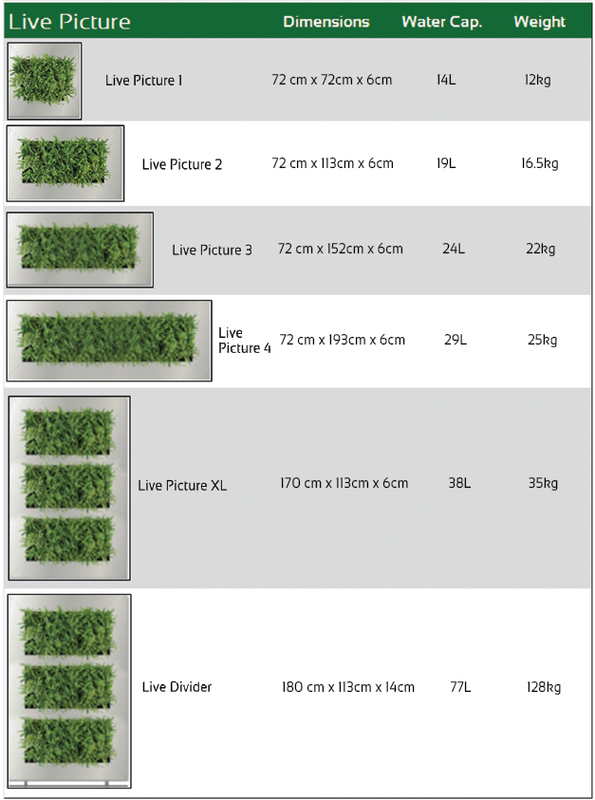 Live Picture 2 uses a system of plant cassettes that are easily exchangeable. Plants can be exchanged with ease to reflect the changing season, holidays or special occasions.